In the early days of computer aided calculations of structures the finite elements used for the analysis were at the centre of attention. The users had to be experts in the finite element method in order to perform accurate calculations. Generation of the finite element mesh was either a completely manual process or, at best, a semiautomatic procedure that required intensive cooperation on the side of the user. Nowadays, the analytical method itself is integrated deep in the CAE systems and unless there is a special need, the users are not bothered with the finite elements at all. Instead, they work with structural elements like columns, beams, slabs, walls, etc. 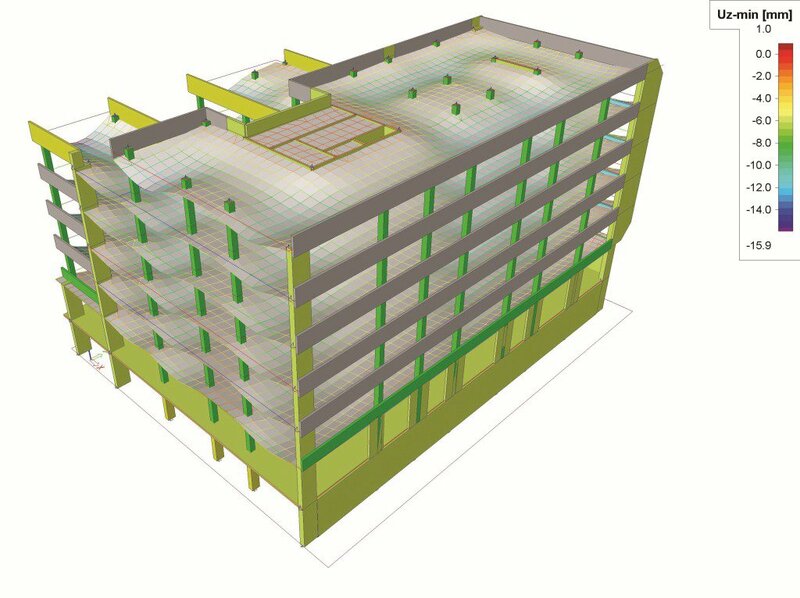 The finite element mesh is generated behind the scenes and the calculated results are presented on the structural elements. To obtain these results different methods may be used. Next to this, the user has the possibility to do a first order or second order analysis. Recently, a new 3rd order method has been added into Scia Engineer, called the Picard method. With regards to the nonlinear calculations, there does not exist an universal and robust method. Generally the Newton-Raphson method is the best and will be used for majority of applications. Only when the method fails, a user can try either the Picard method, or the dynamic relaxation method. Both are generaly slower, but can help in cases, where the Newton-Raphson fails. Do you want to learn more about this method and other options related to Finite Element Analysis in SCIA Engineer? Please have a look at the book Finite Elements Analysis of Structures, written by Doc. Ing. Ivan Nemec.